Nokia gets it right and everyone else should follow their lead. Back Android's early days, the system's open-source generosity offered a huge advantage to phone manufacturers. In the Android Eclair and Froyo eras, there was palatable whimsy in interface design. Owning an Android phone was fun, and manufacturers developed identity by interpreting the system in their own special ways. But the modern Android experience is a mess of unnecessary customizations, ugly designs, and bloated app drawers. In short, Android’s biggest problem in 2018 may be Android itself. But it never had to be that way. For years, Google has been trying to show phone makers that its pure vision of Android is best (anyone remember Google Play edition phones? ), even going so far as to demonstrate stock Android’s superiority on its own Nexus and Pixel handsets. Yet still, nearly every Android phone uses a version of Android that is dramatically different than the one Google provides in the Android Open Source Project. And for the most part, that means slow updates, wonky performance, and an overall lousy experience. 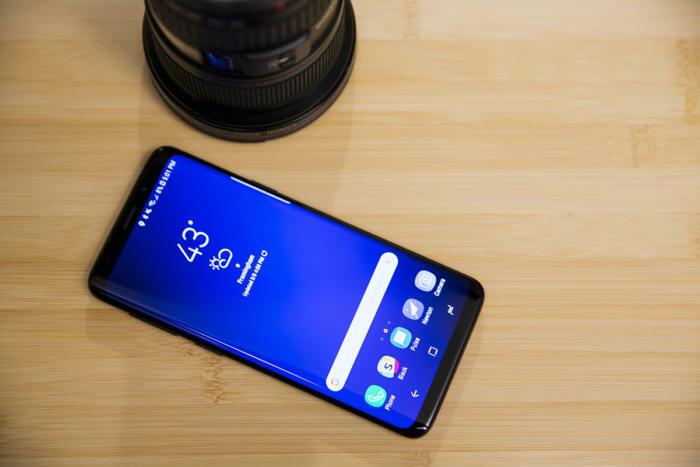 The Samsung Experience on the Galaxy S9 is a far cry from stock Android. Google’s ambitious Android One experience was never supposed to solve that particular problem, but it just might. When the platform was unveiled at I/O in 2014, it was squarely targeted at emerging markets. With a mission to “bring high-quality smartphones to as many people as possible,” Android One was meant to bring a clean, unadulterated KitKit experience (the current version at the time), to handsets short on specs and storage. 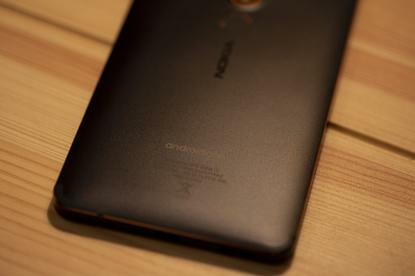 Nokia has taken a different approach with Android One. 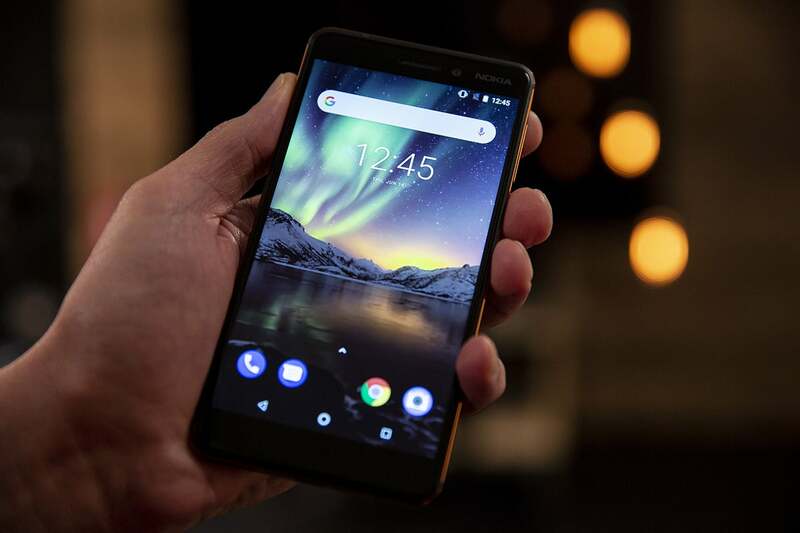 Earlier this year parent company HMD made the bold decision to switch to Android One for its entire family of phones, from the budget-minded Nokia 3.1 to the Snapdragon 835-powered Nokia 8 Sirocco. That means when you buy a Nokia phone you’re getting the peace of mind that you’ll get updates, and timely ones at that, for at least two years, and security patches for three years. Or, as Juho Sarvikas, chief product officer at parent company HMD Global puts it, “pure and secure and up to date.” That’s something that can’t be said for for than 90 percent of Android phones, based on the latest Oreo adoption numbers. And it’s time the leading Android phone makers start closing the gap. Under normal circumstances, a phone like the Nokia 6.1 would be just another sub-$300 Android phone in a veritable sea of them. With a Snapdragon 630 processor, Full HD display, 3GB of RAM, and 32GB of storage, there’s nothing about it that’s particularly unique for its price, but Android One makes all the difference. Oreo’s home screen is beautiful, minimal, and functional, but most Android users never see it. It’s not just the interface, which is as clean and minimal as it gets. Without the extra layer of a skin or the intrinsic bloat of a fork, the Nokia 6.1 feels just as premium as the LG G7 or Galaxy S9. Battery life is stellar. Pages scroll smoothly, apps launch in an instant, and the application drawer is only filled with the apps you need. You won’t find a non-removable Facebook app, unwanted notifications, or superfluous settings to slow you down, and the launcher is actually purer Android than the Pixel (which uses a proprietary launcher on top of stock Oreo). If I didn’t know better, I’d think the Nokia 6.1 was a new Nexus phone. And that’s just the way HMD wants it. In an insanely competitive landscape, I understand the desire to want to stand out, but today’s phones aren’t doing themselves any favors by tweaking and skinning the interface. On its own, Android Oreo is on par with iOS 11 when it comes to speed, performance, and longevity, but once LG, Samsung, HTC, and Huawei get a hold of it, the results are arguably worse. Extra apps, funky gestures, and ugly UIs don’t just muck up the experience, they tend to degrade much quicker than stock Android. Case in point: My LG V30 feels much slower than the Pixel 2 XL, despite both about 8 months old. You won’t find a single piece of bloatware on the Nokia 6.1. The key word here is friction. It’s the same thing what makes the Pixel such a great phone despite having a design that pales in comparison to the Galaxy S8 and a camera app out of 2015. There are no hoops to jump through, no confusion, and no battery-draining processes going on in the background. Android phones have a reputation among iPhone users as being slow, laggy, and jittery, but none of that is the fault of the core OS. It’s the layers that are added on top of it that begin to affect the experience, starting with the four most essential apps to any phone: The phone dialer, contacts, messages, and photos. Most Android phones go out of their way to differentiate the UX in unnecessary ways. Take the worst offender, Samsung. While its Samsung Experience interface (previously Touchwiz) has gotten definitely better with performance and bloatware over the years, it’s still a far cry from what Google offers the Pixel. Turn on a brand new Galaxy S9 and you’ll get a Samsung-styled browser, app store, photo gallery, dialer, and address book, as well as messaging, mail, and files apps. Few of them offer anything that Google’s doesn’t, and in many cases, the experiences and features are worse, particularly when it comes to photos and mail. And that’s precisely what the new iteration of Android One is trying to eliminate. As much as speed and friction are important, the biggest benefit of Nokia’s Android One phones over their forked and skinned peers builds down to one thing: updates. Its two-thirds of Nokia’s “pure and secure and up-to-date” mantra, and the main reason why Google started the program in the first place. Up to date means very different things depending on your Android phone. “When it comes to security updates or platform upgrades, it’s significantly easier for us to roll those out,” Sarvikas said. 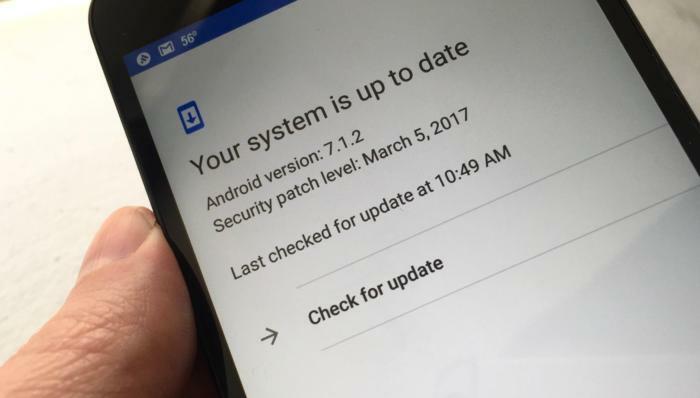 “We didn’t fork or do any deep customization that we would need to validate with every platform update.” It’s something that Google is desperately trying to solve, with Project Treble bringing some real hope for timely updates for the first time and most OEMs dutifully delivering monthly security patches relatively quickly. But on Android One phones, customers are getting something they won’t get on other phones: a years-long guarantee. Like Google’s Pixel phones, Nokia promises two years of letter updates and three years of security updates with every new phone. And since Nokia works directly with Google on its Android One phones, it can also ensure that the updates are pushed out as fast as possible with rock-solid stability and per-device optimization. Now consider that Samsung’s Galaxy S7, which cost $769 when it launched two years ago, only just got its first Oreo update this week, nearly 10 months after Android 8 arrived. 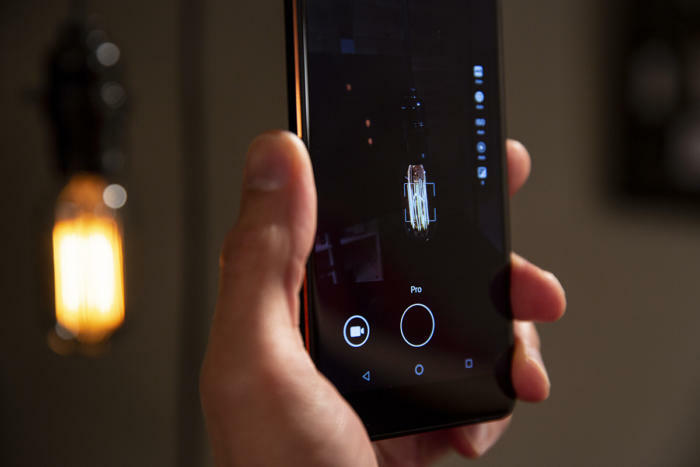 The Essential Phone is touted as a device that “evolves with you,” but its first Oreo update also arrived many months after the Pixels got theirs. And even if Project Treble succeeds in helping Android P updates arrive more quickly, they still won’t be as fast as the ones that appear on Nokia’s Android One phones. The extra apps and layers on top of Android on other phones make it that much harder to push out updates, and consumers end up suffering for it. Slowly but surely, Android phone makers are starting to see the light. The latest Android P beta isn’t only available on Pixel devices anymore. You can also get it on the Essential Phone, Nokia 7 Plus, OnePlus 6, Oppo R15 Pro, Sony Xperia XZ2, Xiaomi Mi Mix 2S, and Vivo X21 and X21 UD. But you’ll notice that the biggest names in Android—Samsung, Huawei, LG, HTC—are missing from that list. Many of the Oreo phones shipping right now are still running version 8.0 rather than the newer 8.1. And security updates still trickle in weeks and sometimes months late. The solution to what ails Android is right there for the taking, but so far only Nokia and a handful of other phones have taken Google up on the offer. There’s an underlying belief among Android phone makers that skins and forks make their phones stand out among the field, but I’m willing to bet that most customers are buying phones based on features and physical looks rather than the interface. And I’m downright certain that nearly all of them would pick pure Android over their phone’s UI in a face-off. Android’s hardware makers needn’t be different than PCs. You can buy a laptop from HP, Acer, Asus, or Microsoft and get the same Windows 10 software, but the experience on each of them is vastly different. The camera app on the Nokia 6.1 comes with a robust set of pro controls. Like Windows, Android One isn’t about homogeneity, it’s about putting Android’s best foot forward for both the platform and the consumer. 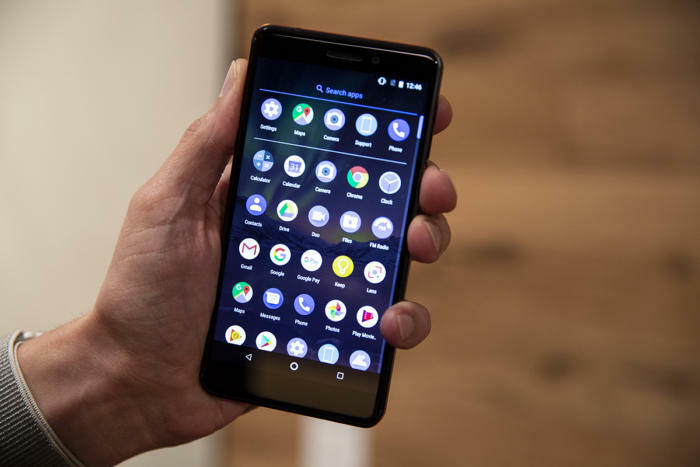 Google allows plenty of latitude for originality, such as Nokia’s excellent camera app or the HTC U11 Life’s Edge Sense squeeze and USonic audio features. When marketing their phones, LG, Sony, HTC, and Huawei differentiate themselves via hardware design and valuable features, with nary a mention of software skins. Android One might limit the amount of customization a company such as Samsung can add to their phone, but is that really a problem? No one is buying a Galaxy S9 because of the Samsung Experience UI. They’re buying it because it’s a gorgeous phone with a great camera. And if that requires removing some of the branding along the way, so be it.